A 70-year-old Eureka man died yesterday after being struck by a truck that was turning into a shopping center off of Broadway Street as he drove his motorized scooter along the sidewalk. The pedestrian, John Edward Williams, died after being taken to the hospital. 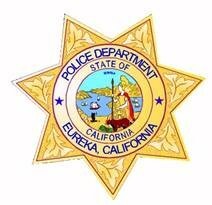 The driver of the Chevrolet Silverado was not identified by the Eureka Police Department. DUI is not considered to be a factor in the collision, which remains under investigation, according to the department’s news release. Williams’ death marks the 20th traffic-related fatality in Humboldt County in 2017. On July 18, 2017 at about 10:27 a.m., officers with the Eureka Police Department responded to the 3000 block of Broadway for the report of an injury traffic collision involving a vehicle and pedestrian on a motorized scooter. The pedestrian was transported by ambulance to the hospital, but ultimately succumbed to his injuries. Next of kin has been notified and the victim has been identified as 70 year old Eureka resident, John Edward Williams. The preliminary investigation indicates that the driver of a Chevrolet Silverado had been traveling north on Broadway. The driver made a turn into a shopping center and collided with Williams who was on the sidewalk on his scooter. DUI does not appear to be a factor in the collision. This is an ongoing investigation; any witnesses are asked to email Sergeant Gary Whitmer at gwhitmer@ci.eureka.ca.gov.